Why Should Social Media Be Included In The Higher Education In India? Social media and the internet have changed the way we fundamentally live, communicate, interact, buy and live our day to day lives. 95 percent of teens have access to a smart phone, and 45 percent say they are online 'almost constantly' on popular online platforms such as YouTube, Instagram, and Snapchat. The impact that social media and the internet have had on India off late is highly significant, thanks to Cheaper smartphones, faster networks, Reach to rural India, Digital payments, Whatsapp, E-commerce, Startups, Funding for technology. Moreover, the impact of Digital India initiative by our honorable Prime Minister Shri Narendra Modi has led to 3 lakh Common Service Centres, having created jobs, village-level entrepreneurs. In this scenario, there is a huge scope for digital and social in India. And despite this, there underlie several challenges as the supply is less compare to the demand. Social media is not taught in B Schools, Universities or in colleges. Even though some universities have included it in their curriculum, the subject is not utilized to its full potential. Digital & social media is dynamic, it's updating almost on a daily basis. What about books on social media? By the time they're published, all the platforms would have updated/changed. To include this as a subject in our education system, there are a lot of challenges like policies, government approvals and so on and hence I don't blame the educational institutes. Hold more conferences, events to discuss these opportunities. Educate the educators. Start including social media and digital early in schools. Today a 2-year-old is playing with a smartphone; they grow with the internet which is amazing. But this also comes with a risk. Social media often becomes a threat for children as well as adults. With the introduction of Privacy, Cyberbullying, Rumors, Fake news, unwanted exposure, Addiction, Predators, Games like "the blue whale", teenagers publishing their pictures videos without understanding the consequences and many more, it is imperative to understand on how to use the social and digital media carefully. Today's teenagers use social media extremely well for their personal use, however when it comes to using social media for business, they are stuck. And the situation today is different. 10 years back, a teenager wouldn't get an opportunity to sit in a boardroom, and that has changed today. Thanks to the power of social and digital. Today a teenager is an entrepreneur, a developer, CEO and much more. For instance, Tanmay Bakshi, a 13-year-old Indian boy has been hired by Google at a package of 1.25 million dollars per annum. Hence, whenever I speak at B schools or universities, I tell them that the employers expect them to know everything about Social Media because they see a teenager using social media day in and day out. Today, the stakes are high when you start out in your career. Learn how to blog. It takes less than 30 minutes to create a blog using WordPress or Facebook Notes or LinkedIn post. Encourage students to create a blog, share their passion or document their day to day life. Use a free tool like Canva to create images for the posts on social platforms. Teach them how to research. Example: how to use Google Advanced Search & Privacy and teens in Social media. Suresh is the Founder of Web Marketing Academy, Digital, and Social media marketing training, certification and consulting academy for corporate and students in Bangalore. 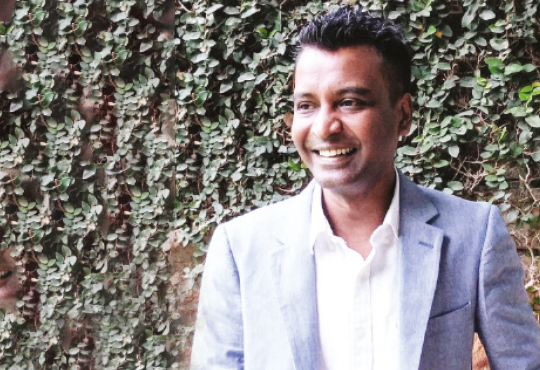 An alumnus of IIMB and IIM Kolkata, Suresh founded OME Community, a community of passionate online marketing enthusiast conducting monthly meetups in Bangalore. With overall 20 years of marketing, teaching and culinary arts, Suresh works closely with NSRCEL, IIM Bangalore helping startups with online marketing strategies. Prior to this, Suresh was the Web Marketing Manager for Vayama.com, an online travel agency and also worked in the Florida for 8 years helping small businesses in web marketing, blogging.